HP ProBook 650 G3 1CR64PA Technology Direct. Online Computer Superstore. 15.6", i5-7200U, 8GB DDR4, 256GB SSD, DVDRW, WIN10P64. Blend new features with proven technology Simplify deployment of new PCs. 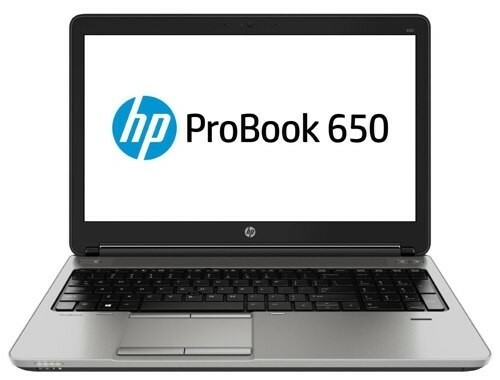 The HP ProBook 650 easily integrates into your current IT structure. Optional optical drives and legacy ports like a serial port, standard VGA port, and RJ-45 connection help reduce the costs of upgrading your PCs. Mobilize your workforce Give your deskbound workforce the benefits of mobility without sacrificing performance or breaking the budget with 7th Gen Intel® Core™ i3/i5/i7 processors, expansive DDR4 memory, and peripherals like the HP UltraSlim dock. HP exclusive security and manageability Help prevent data breaches and downtime with HP BIOSphere Gen3 and self-encrypting or FIPS Certified Drives. Simplify management with HP configuration across the globe, available in more than 180 countries where HP conducts business. Collaborate on the go Business doesn’t stop when you are away from the office. HP Noise Cancellation Software, HP Audio Boost, Skype for business, and a 720p webcam are collaboration tools that help you communicate clearly with colleagues. Let nothing stand in your way Be productive in any situation. Experience the new features of Windows 10 Pro on the powerful, touch optional HP ProBook 650. Powerful processing and drive options Powerful 7th Gen Intel® Core™ i3/i5/i7 processors and configurable options let you deploy the right configuration based on user’s needs. Charge faster and go longer Replace batteries less often and quickly recharge your HP ProBook 650 with an HP fast charging battery. You’ll get up to 90% battery life in just 90 minutes of charging.